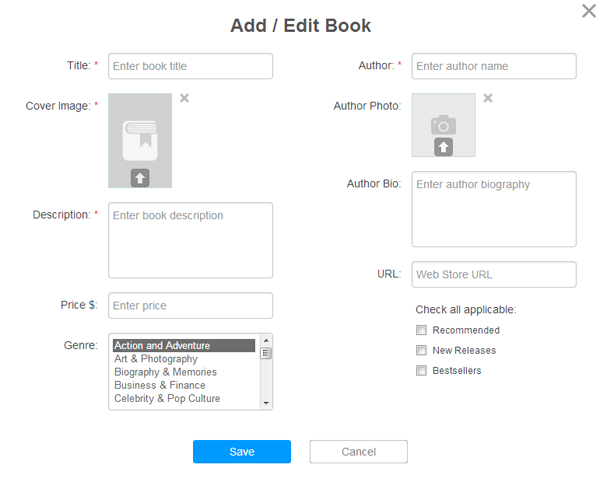 If you’ve got content you would like to sell via your app, you can use our BookStore widget for that purpose. To insert the BookStore widget into your app, choose it in the change widget type popup. Filters can help your enduser to find what they are interested in. In the popup window insert desired name and edit entries by clicking the "Edit" icon on the right. 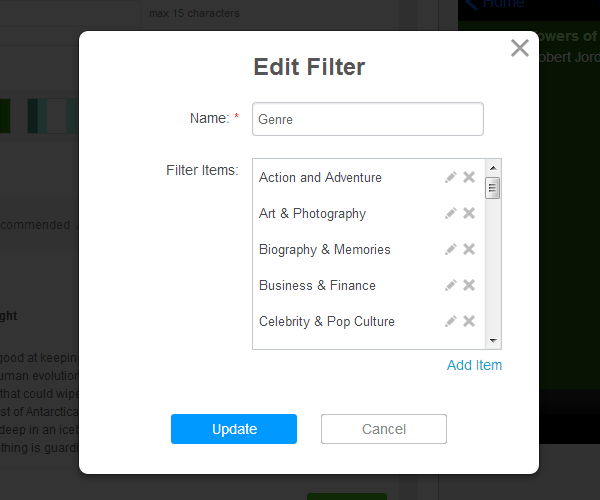 Note that you can add or delete any number of filter items. When finished click "Update" button. 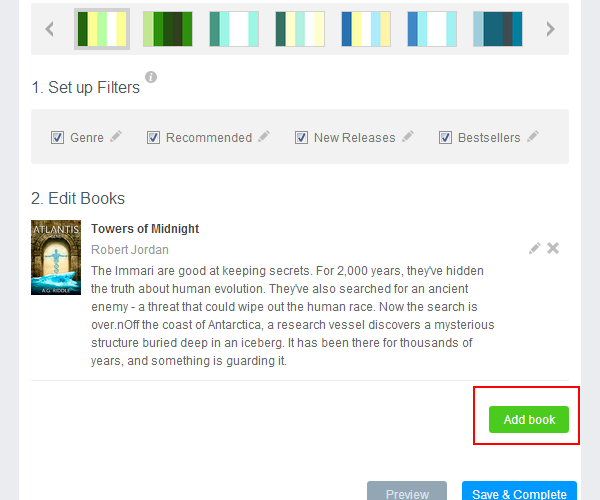 In the "Add / Edit Book" popup, complete the information for the item that you would like to list. Required fields are noted with an "*". 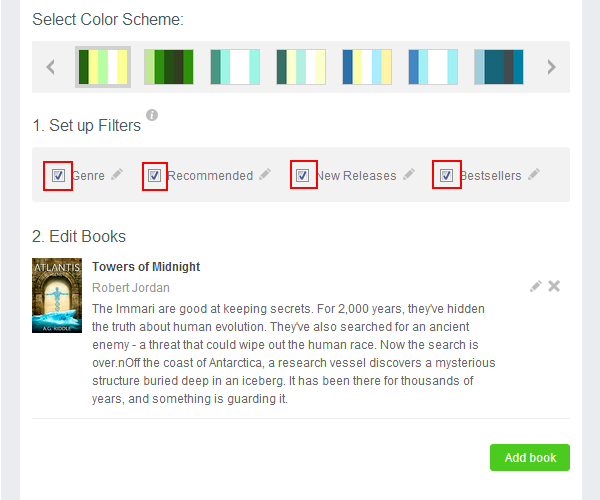 Note that "Genre", "Recommended", "New Releases", "Bestsellers" are filters, and we recommend setting those in order to help your users to perform a success search. You can use an URL in "URL" field: that could be your web store page, detailed description or a link to the content itself.